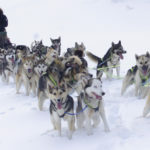 Sporbryter is a small family business that can offer everything from long and short trips with their fit and happy huskies in diverse forest and mountain terrain in and around Blåfjella – Skjækerfjella National. They wish to give you a varied nature experience with both challenges and a feeling of mastery. Would you like to play with over 40 huskies running loose with you? Convenient for those who want to approach the adventure with sled dogs during the day and sleep in a nice, soft bedl at night. Very good for families with kids who wish to do something exciting together. Winter rates 2015: NOK 2000,- per person per night. 1/2 price for under 14’s. All necessary equipment, thermal clothes and food/accommodation included in the price. A great opportunity to experience sled dogs up-close. 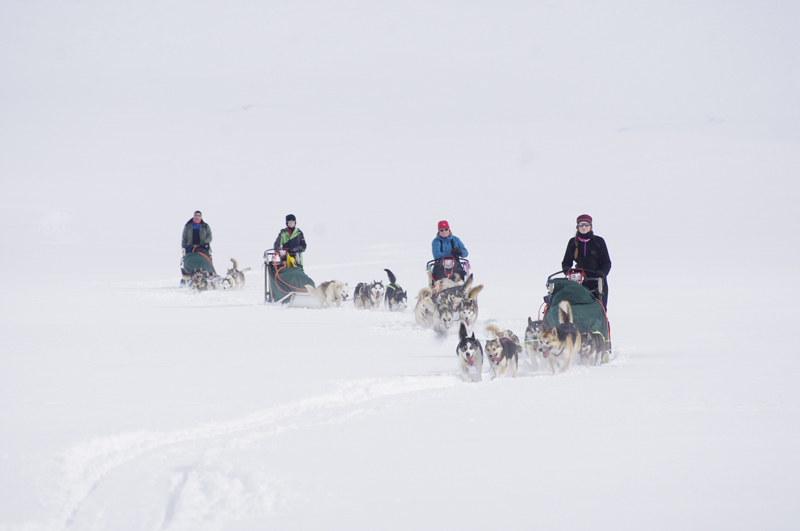 6 eager dogs pull your sled uphill and into big marsh lands. One person stearing and one is a passanger. You change over at will. A bonfire will be lit, where you can BBQ your lunch. Sporbryter provide coffee/tea. Winter rates 2015: NOK 1200,- per person. 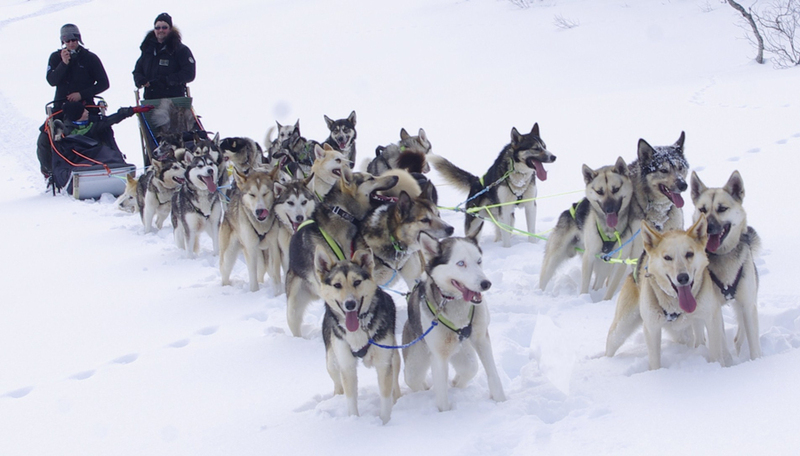 You drive your own team of Ogndal huskies into the “white adventure”. Accommodation an a Gamme with wood stove. 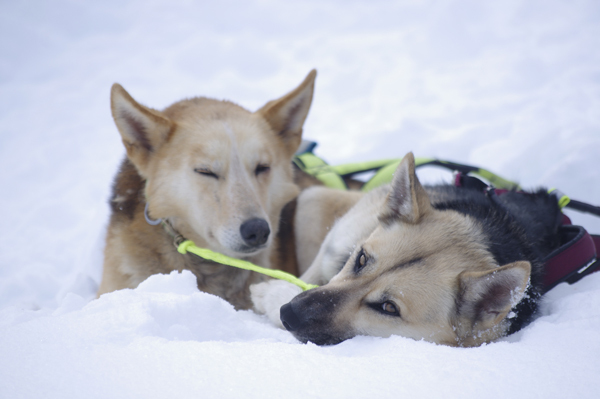 After 2 days on the sled wyou will have experienced most of the terrain a musher can encounter. Mushing introduction before start. Duration: 2 days. 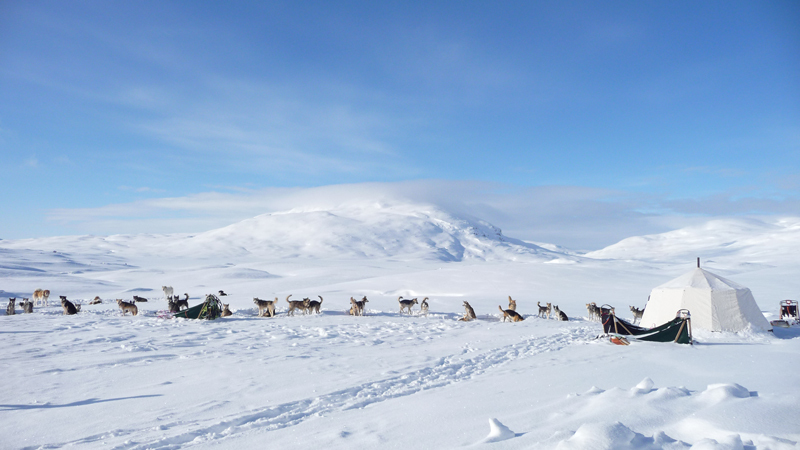 Winter rates 2015: NOK 3600,- per person per night. Are you a group of friends, a school class, business or an organisation who want to experience soemthing out of the ordinary? Sporbryter can help with this. De rettelegger for alle. 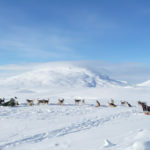 Drive a dogsled, sit on reindeer skins around a large warming fire in the lavvo. Drink a steaming hot “black kettle coffee” and just enjoy the moment.Sporbryter organise according to group and content. Make contact to creat your own “atmosphere”. Event, birthday, surprice trip – you choice. Winter rates 2015: Starting prices NOK 3500,- with 1 sled, NOK 5500,- with several sleds and driving yourself. Sporbryter have both winter and autumn arrangement with kennel life and close to – and in nature existence. For small og medium sized groups. Tel: +47 95 70 38 49 or post@sporbryter.no.